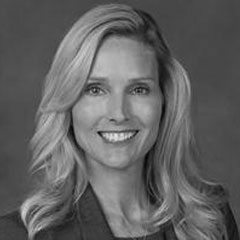 Heather L. Wallace joined SARES•REGIS Group in 2016 with over 20 years of multifamily experience. Ms. Wallace’s area of focus is business development, marketing and strategic planning for the property management division. Ms. Wallace comes to SRG from Alliance Residential Company, where she held a variety of key positions in operations, acquisitions, and development since 2003. Hailed as an expert on pre-development issues, including market research, feasibility and design, Ms. Wallace began her career with Lincoln Property Company in 1994 and later held management posts with SCG/Archstone and Trammell Crow Residential Services. Ms. Wallace is on the board of directors of the Housing Industry Foundation and is a member of the National Multifamily Housing Council, National Apartment Association, Urban Land Institute and the California Apartment Association. She is a frequent speaker at industry conferences.